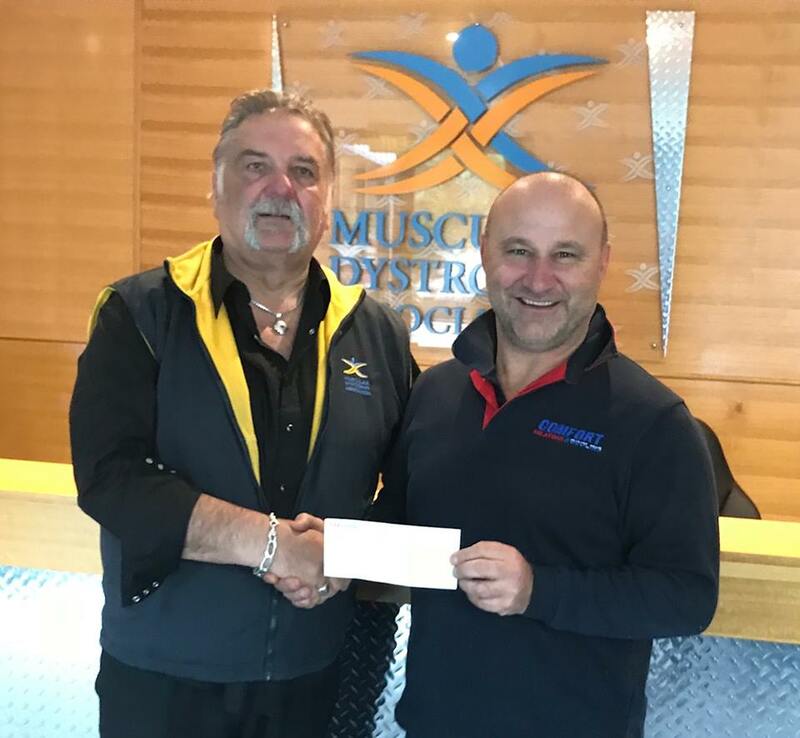 Founder of the Super Dads’ Walk, Brett Bugeja, dropped into MDA HQ to present MDA’s Executive Director, Boris M Struk, with a cheque for the funds raised from the seventh Super Dads’ Walk. Over 130 Super Dads raised $30,000 and more than $180,000 since inception. What an incredible effort! Thank you so much Super Dads! The Super Dads’ Walk was started by a group of locals in support of their good friends Brett and Katrina, whose son Ben is living with Muscular Dystrophy. Funds are raised via a registration fee, which dads are always more than happy to pay for the delicious food and drink on offer and to support the worthy cause.